Episode VI -- "Come Not Between the Dragons" -- is an action-packed, dramatic story that deals with deeply personal issues. It guest stars Gigi Edgley of Farscape fame. And Episode VII -- featuring the return of Erin Gray and other surprise guest stars -- will, with the help of this campaign, be released in the fall. First and foremost, Star Trek Continues respectfully and graciously thanks CBS, the holder of the copyright to Star Trek. CBS' understanding of the passion fans have for Star Trek is second-to-none, and we're grateful to have the opportunity to pay tribute with our fan-based non-profit web series. We are in no way affiliated with, nor endorsed by, CBS or Paramount Pictures. This latest campaign is already off to a strong start. And it’s the third time we’ve appealed for support in this way. Late in 2013, our first effort raised enough money to produce episodes 2,3, and 4. Last January, we launched a second crowdfunding campaign to continue our journey and produce two more episodes and build the enormous Engineering set. And that’s precisely what we did. STC's track record speaks for itself. As deeply committed stewards of our precious fans' donations, we do what we promise we will do. So many of our previous donors tell us they can't wait to support us again. One needs only watch an episode to see these generous donations at work. Post-production costs, hard drives, online data storage, etc. So if you believe in what we’re doing and you’d like to help, now is the time to donate to keep a good thing going.And we’ve got an exciting array of perks for contributors – including a selection of screen-used costumes. 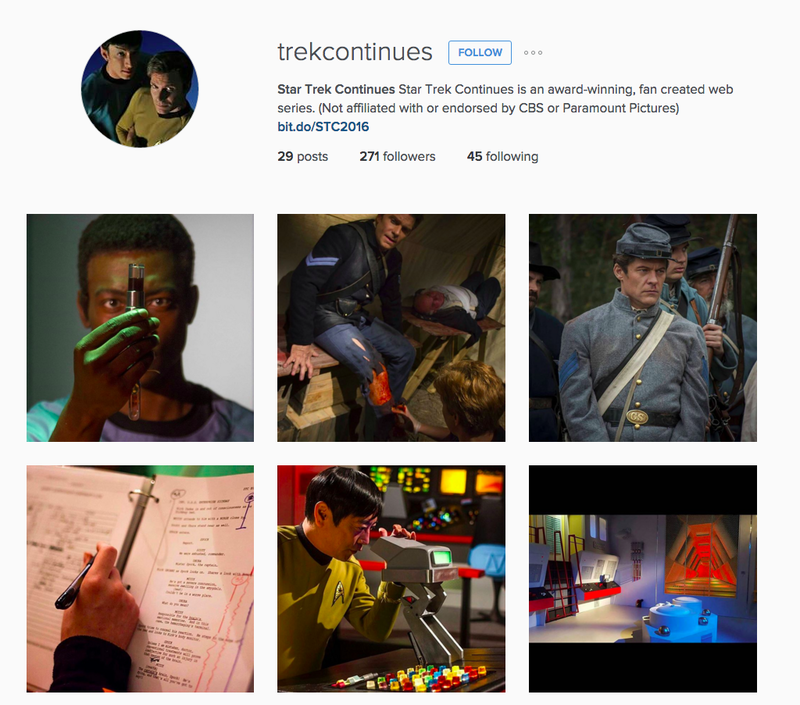 We are very pleased to announce that now you can follow Star Trek Continues on Instagram! We will be posting never before seen production stills, behind the scenes photos, crew features, concept art from our designers, and more! 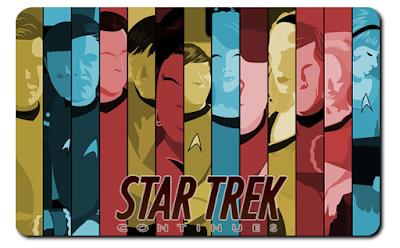 You can find us there @trekcontinues, and also on Tumblr at stcontinues. Thank you so much for all of your support and enthusiasm. Please continue to follow, like, share, and tell your friends! 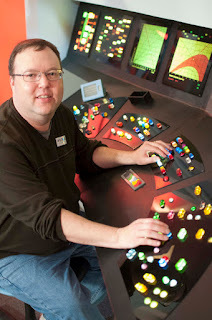 One of the ingredients that makes Star Trek Continues look authentic is attention to detail, and in particular the sets and props designed to look like they came from the soundstages in the 1960’s. The production relies on the skills of dedicated propmakers and fans who donate use of their treasures for our episodes. 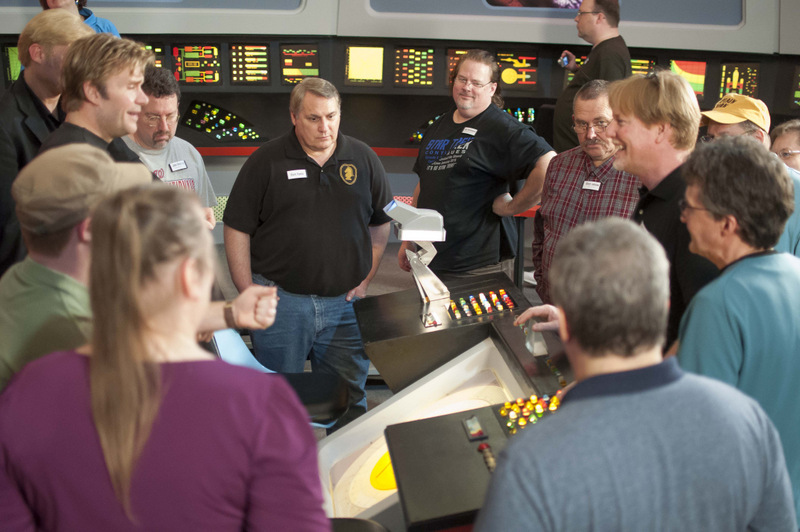 In December, prop collectors got a chance to tour the Enterprise – including the new Engineering Room – during a private visit to Stage Nine in southern Georgia. Space.com staff artist Karl Tate came down from New York. His reaction to walking standing sets was typical. The one-day event was filled with special presentations on prop-making, and an opportunity for prop fans to show off their collections and hand-made treasures. Massive post. Really good-looking blog. A lot of blogs, I observe these days don't really present anything that I'm interested in custom essay writing service .but I'm most definitely interest in this one. I am in reality happy with article quality and direction. This post is mark on in helpful how some thought apply to any script point. Thanks a lot for protection enormous things.